My eyes locked on the huge magnolia trees lining the road opposite the sidewalk that led me home. As I stared at these trees giggles erupted from my silent self. Giggles. All alone staring at these absurd trees I shook my head. Only God could make a tree like Magnolias. Their large waxy leaves and gigantic white flowers look like a painting in a children’s book. I felt the Holy Spirit nudge me toward them to take a closer look, so I walked across the street. 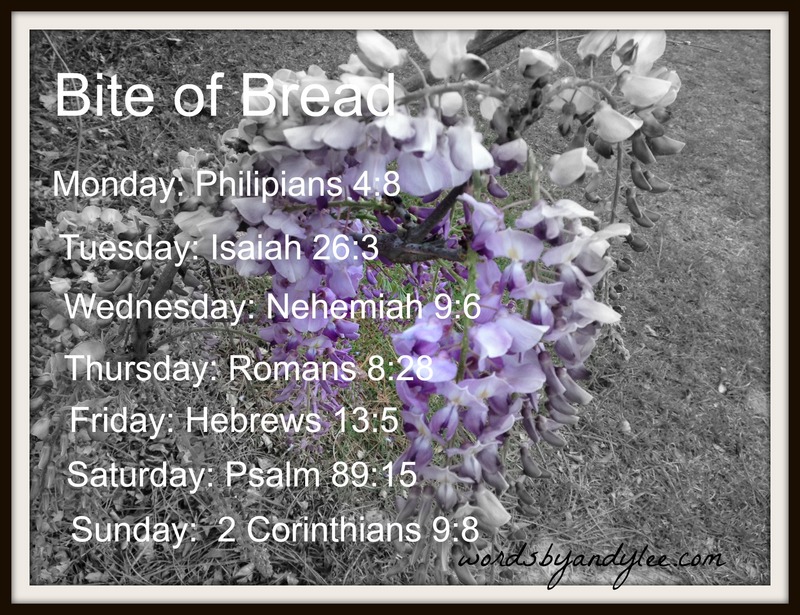 The Bite of Bread reading is filled with wonderful promises and wisdom as we walk daily with the One who loves us more than we can imagine. The One who wants to bless us. He sent Jesus and then the Holy Spirit. 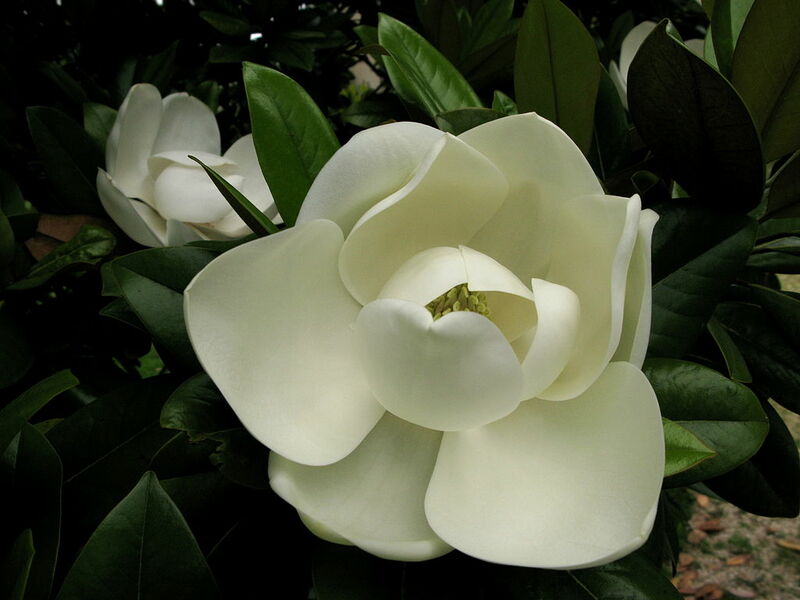 And He fashioned the Magnolia. I’m sure there is some purpose for the magnolia tree in nature, but I’m persuaded to believe He made these unique trees simply for blessing His children. I pray the reading plan blesses you this week. Grab a pen and jot it down in a journal. I’ll be reading with you and posting on our fellowship page. My sentiments exactly! Magnolia blooms are absurdly beautiful!! Only a loving God could have dreamed them up and then made them, and yes, I believe, only for our enjoyment. Hey my kindred spirit friend! Thanks for stopping by. I loved your words, “Only a loving God could have dreamed them up.”!